Charles Goodyear was an American inventor of the 19th century, famous for inventing the rubber vulcanization process. Goodyear was born at New Haven, Connecticut in the year 1800. His father was an inventor and hardware manufacturer. Goodyear worked in his father’s button factory and educated himself at home. In 1816 he became an apprentice at a firm of hardware merchants in Philadelphia. After returning home in 1821, he formed a business partnership with his father which lasted until 1830 when the business had to be shut down. The American rubber industry in those days was suffering as the “rubber fever” that had originally taken the world by storm was dying down. At first rubber seemed to be all the craze and thousands of tons were imported from Brazil for the manufacturing various products. However, it was soon found to be impractical as it melted completely in summer and froze into a hard unusable substance in winter. Goodyear had invented a valve for rubber life preservers which he tried to sell to Roxbury India Rubber Co. (America’s first rubber manufacturers) but the store manager turned him down, explaining that they already had shelves of unsold products and mounting returns from dissatisfied customers. Charles Goodyear decided to research a method for improving rubber. Despite the fact that he lived in extreme poverty and was sent to debtors’ prison several times for being unable to meet his obligations, Goodyear persisted relentlessly with his research and spent the majority of his life dedicated to this pursuit. 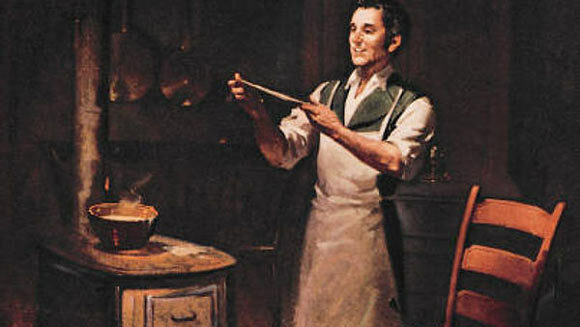 While he was in prison, he asked his wife to bring him a batch of raw rubber and a rolling pin; thus he started his first set of experiments in 1834. Once he was out of prison, he tried adding magnesia powder to the rubber mixture to make it less sticky. He obtained some measure of success so he asked his childhood friend to invest some money in his venture. Goodyear, along with his wife and kids made several hundred pairs of magnesia dried rubber shoes on their family kitchen floor but before they could finish it was summertime and all the shoes melted. Due to the strong smell of rubber, his neighbors complained about his experiments so Goodyear moved to New York and continued his work in an apartment there. He faced opposition from his family members who tried to convince him that rubber was never going to make a comeback but Goodyear persisted and stated that he would be the one to make it a success. Several times he came close to finding strong financial backing but these ventures never took off like he hoped. In 1839, quite by accident, Goodyear stumbled upon the process which came to be known as vulcanization. A piece of rubber accidentally flew onto the hot surface of a stove and when Goodyear tried to scrape it off, he found that it had hardened and become extremely tough. He devoted the next five years trying to perfect this process, while him and his family were so destitute that they had to survive on fish caught from the river for food. At one point they even had to live in an abandoned factory because they had lost their home. Charles Goodyear was able to obtain an important patent in 1844 but the idea was stolen by other rubber manufacturers and as a result he spent the remaining majority of his time in court disputing the claims of his patents. He received 60 patents overall for the application of his vulcanization process in the manufacturing of various products such as condoms, intrauterine devices, syringes, and diaphragms. At the time of his death in 1860, his debts totaled $200,000 and it was only after his death that his wife and children began to earn sufficient money from the royalties of his patents. His method of vulcanization revolutionized the rubber industry and the “Goodyear Tire and Rubber Company” formed in 1898 was named in his honor.